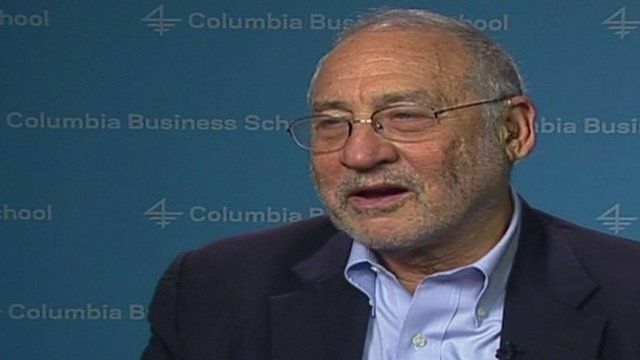 The nomination of Federal Reserve Vice-Chair Janet Yellen to be the next head of the US central bank has been welcomed by Nobel Prize-winning economist Joseph Stiglitz. He said she had done an "excellent job" in representing the US abroad and commands "enormous respect" among the world's central bankers. Mr Stiglitz, who knows Ms Yellen having shared the 2001 Nobel Prize with her economist husband George Akerlof, said her appointment would change perceptions about the type of person who should take on such key jobs.